At first, comparing the 2017 Ford Taurus vs. the 2017 Cadillac CTS might not seem fair. After all, one car is a luxury model, but the Ford Taurus can be equipped with exceptionally luxurious features, more than leveling out the playing field. Other differences arise between these two sedans, which you need to understand fully to make an informed and thoughtful purchasing decision. With Torque Vectoring Control, the Ford Taurus offers something you can't get on the Cadillac CTS. This innovative technology helps the big sedan hug corners better, by applying the brakes in a way that simulates having a torque vectoring differential. As you power through a turn, the system brakes the front inside wheel, sending more torque to the outside wheel instead, where there's better grip. It's a standard feature for all Ford Taurus models, enabling you to attack corners with more confidence. Drivers also benefit from the electric power-assisted steering system for the Ford Taurus that's tuned to compensate for some situations, unlike the setup for the Cadillac CTS. If the road surface is uneven, or a strong crosswind is pushing against the car, drives don't need to constantly be correcting the steering angle, because the system does it automatically. This leaves drivers feeling less fatigued and distracted. Systems aimed at encouraging young drivers to behave safely are featured in both these sedans. While the Teen Driver feature included on the Cadillac CTS provides car owners with a report on teen drivers' behavior, the MyKey technology for the Ford Taurus takes things a step further. If the seatbelt reminder is active, the sound system mutes completely. Car owners can limit the maximum volume, plus the top speed, cutting down on the chances of a serious incident. Thanks to the available Sync 3 infotainment system, the Ford Taurus leaps ahead of what you can get with the Cadillac CTS CUE system. The hardware and software are both cutting edge for Sync 3, so you get responses to inputs quickly. Just like your smartphone, you can pinch and swipe on the touchscreen, making it more interactive. The menus are sleeker, with large and clear graphics, so you can better concentrate on the road. Voice controls are so advanced, you can talk normally and get the right outcome, instead of using specific phrases and having to repeat yourself. 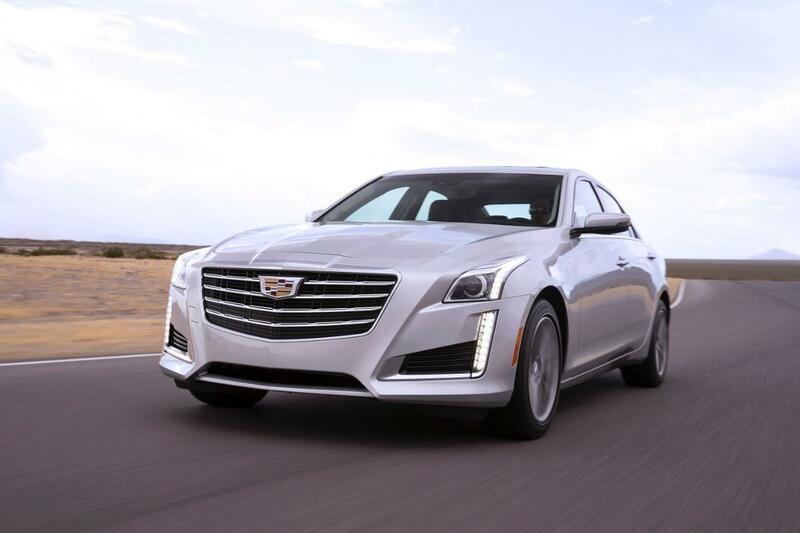 While the Ford Taurus and Cadillac CTS are both designed to wow both inside and out, not everything about the two cars stacks up. For example, the Ford Taurus SHO and Limited can be outfitted with 20-inch machined aluminum wheels with premium painted pockets, making a bold statement that will be noticed by many. On the Cadillac CTS, the largest wheels available measure only 19 inches, not 20 inches, falling short of the dramatic design available for the Ford Taurus. One clever feature you'll use all the time on the Ford Taurus is the Easy Fuel capless fuel filler, something you can't even get on the Cadillac CTS. Instead of a traditional fuel cap you must unscrew and place somewhere when filling up the tank, a clever cap simply flips out of the way of the fuel nozzle when it's inserted. There's no forgetting to put the cap back on, or not getting it tightened properly, triggering the check engine light and causing unnecessary grief. Mixing comfort and environmental conscientiousness, the Ford Taurus SHO features excellent seat padding that's made of a soy-based material. They offer incredible support, even during longer drives, while minimizing impact on the environment. Unfortunately, the Cadillac CTS doesn't feature any similar materials. You can get soft ambient lighting to help illuminate the interior of either car. It adds a nice touch to the design, but there's one difference between the two approaches. With the Cadillac CTS, the ambient lighting comes in a single color. On the Ford Taurus, drivers can shift the mood by choosing one of 7 available colors: Ice Blue, soft blue, orange, red, green, blue or purple. Ford also provides four dimmer levels, so you can choose how intense you want the light to be in each situation. As for premium sound systems, both cars feature them as upgrades. The Sony setup available for the Ford Taurus offers something the Bose system for the Cadillac CTS doesn't: Clear Phase technology. It ensures radio reception is always crystal clear, with absolutely no static, for a more enjoyable listening experience. 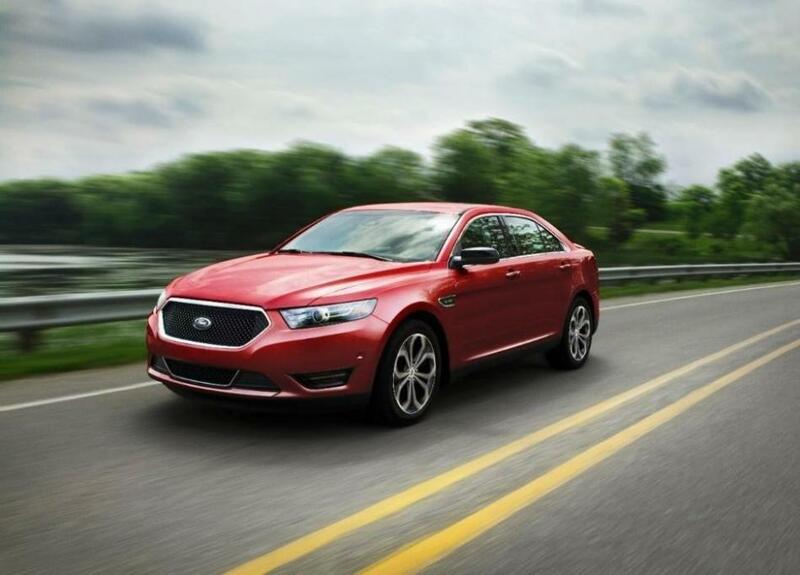 Now that you've read about the many advantages the Ford Taurus provides, contact us to schedule a test drive.